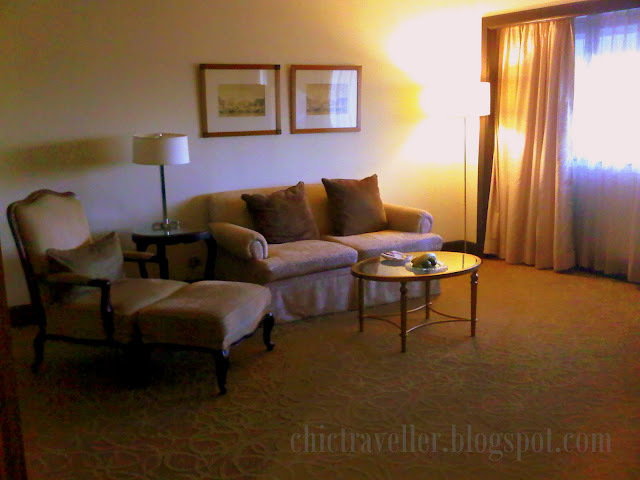 The Chic Mompreneur: Do you live an Intercontinental Life? Do you live an Intercontinental Life? My favorite hotel in the whole world now is the Intercontinental Manila. They have the best rooms and the best service in all of the hotels I've stayed in. The minute that you arrive at their lobby, all of their staff -- from the security personnel at the door to the guest reception attendants -- greet you with a warm smile. They make you feel as if you're always walking into a start of a great vacation any day. Depending on the rooms available and if you're lucky enough, they might upgrade you to a superior room or a suite. When you walk into your room, you're greeted with a small living area where you can immediately relax, take off your shoes and stretch your legs on the sofa after a long day. They also have a plate of fruits to welcome you for your stay. If you think the living room is comfortably perfect, wait until you get to the bed. 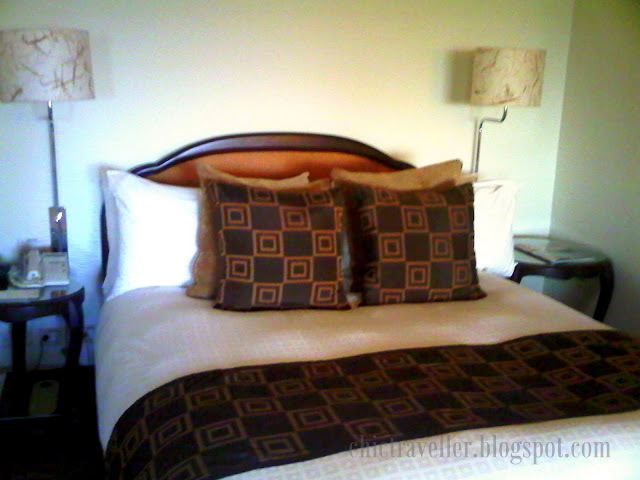 The bed is always tucked in perfectly, and they indulge you in a lot of pillows to ensure you get a good night's sleep. They are pillows that you easily sink into. Soft pillows and a comfy bed --- this is the perfect combination that will make you want to stay in bed all day. If you're already impressed, take a look at their bathroom. 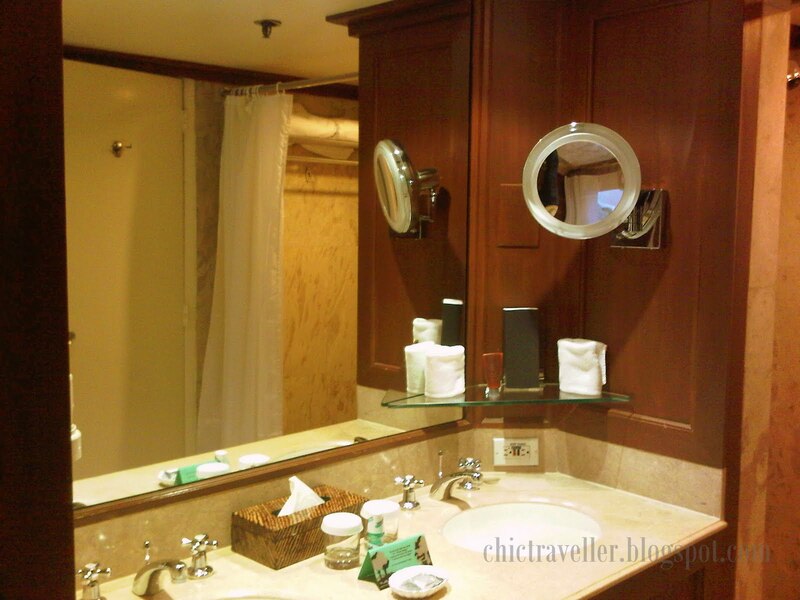 Some people would want a better bathroom more than they want a good bed, but Intercontinental Manila makes sure you get both. Their suite will give you his and hers sinks, complete set of toiletries, a bath tub and a shower. What more can you ask for? With their rooms scoring high on the point scale, let me tell you about the service that they offer. Their staff are always willing to assist you in anything you ask them for. You can ask them about movie schedules of the nearby theaters, mass schedules, store hours, and maybe even sights you can see in Manila if you're a tourist. When I'm sick, I can easily call the clinic and the nurse will personally bring in the medicine I need. There's even one time when my husband sounded sick on the phone, the receptionist called back and inquired if he needed medicine to be sent over. If you're looking for a hotel to stay in Manila and you don't want to compromise on any of the comfort or service you'd want to have during your stay, you will never go wrong with Intercontinental Manila.